Shiro-Khorshid Forever - شيروخورشيد تا ابد: Terrifying News: Canada and China to Discuss an Extradition Treaty! 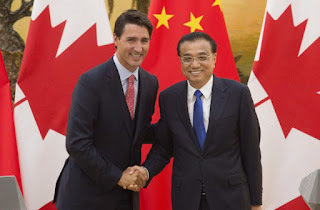 Terrifying News: Canada and China to Discuss an Extradition Treaty! 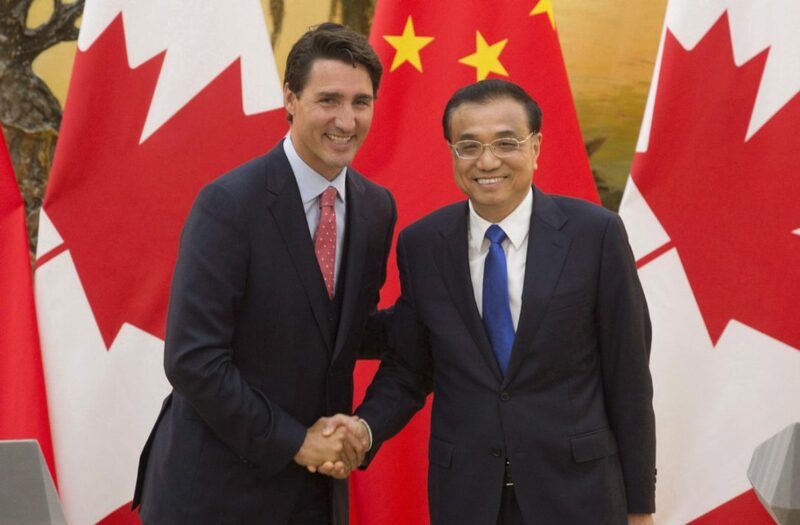 Chinese Premier Li Keqiang arrives in Ottawa on Wednesday to meet with Justin Trudeau and discuss a possible Extradition Treaty between Canada and China. While China claims the extradition would be geared towards “economic fugitives” I am greatly concerned that real targets may be Chinese dissidents who are currently living in Canada. As well it is no secret that China is one of the worst human rights violators in the world with the highest rate of execution per capita in the world. There is serious concern surrounding China’s judicial process including rule of law and due process. The Chinese Government systematically arrests, imprisons and tortures peaceful Falun Gong practitioners and there is credible evidence that China may be killing Falun Gong practitioners in prison, and selling their organs for profit! China is also known for its execution of non-political prisoners including those accused of “economic crimes”. Agreeing to an Extradition Treaty with China will put Canada in the position of sending people back to face torture and even execution which goes against Canada’s obligations not to extradite people who would be facing the death penalty. Perhaps the most terrifying aspect of the possible Extradition Treaty is that Prime Minister is doing it for economic gain only. Canada will not gain anything from an extradition treaty as China’s extradition law does not allow anyone of Chinese nationality to be extradited to a foreign country. Canada is only considering the extradition treaty in order to gain more favorable terms around Canola Imports! If Justin Trudeau is willing to send people to their death for favorable terms surrounding Canola Import what is to stop him from agreeing to have an extradition treaty with a dictatorship like Iran for economic gain, and endanger the lives of Iranian Canadians like myself who are considered to be “criminals” by the Regime in Iran for our political activities against the dictatorship? Today it’s Canada China, tomorrow it might be Canada Iran or Canada Saudi Arabia or any other dictatorship in the world. We need to speak up now to make sure human lives are not traded for economic gain at least in Canada.